The headline news from the G20 summit in Pittsburgh is that progress has been made on "IMF reform," meaning increased voting power for emerging markets relative to rich countries--remember that West Europeans are greatly overrepresented at the IMF for historical reasons. But further change in a sensible direction is being blocked by the U.K. and France--because they have figured out that this logic implies they would lose their individual seats on the IMF’s executive board. The way to break this impasse is (1) for the European Union to consolidate into a single seat or membership, and (2) for the Union to assert its right to be the headquarters of the IMF (under the Articles of Agreement: "The principal office of the Fund shall be located in the territory of the member having the largest quota…"). 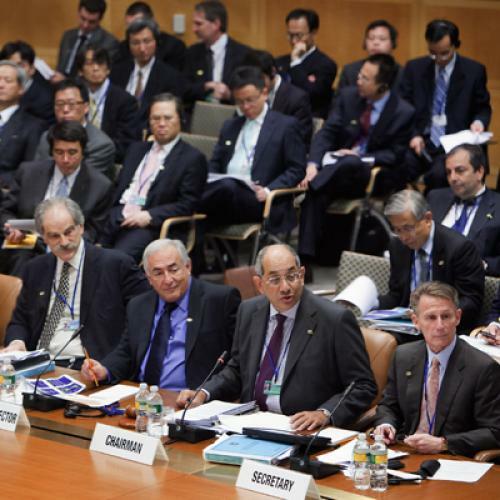 The U.S. will push back hard--arguing that only countries can be members of the IMF. But what’s a country for these purposes? The U.K., for example, has elected assemblies in constituent parts of its union (and different soccer teams), but can still belong to the IMF: "Membership shall be open to other countries at such times and in accordance with such terms as may be prescribed by the Board of Governors. These terms, including the terms for subscriptions, shall be based on principles consistent with those applied to other countries that are already members." Ultimately, this kind of decision is more about high politics than international law. The only part of the world where the IMF currently has the legitimacy to make a difference is in Eastern Europe, and most of the additional resources for helping that region should come from Western Europe--after all, Brussels had the not-so-good idea that "convergence" through EU accession meant that running massive current account deficits was somehow a good idea. Europe still insists on the right to nominate one of its own to be managing director of the IMF, which is an awful anachronism at this point. The New IMF could be based in London with a French boss, or in Paris with a British boss. The EU would have a powerful voice and the U.S. would keep its veto. The emerging markets, outside of Eastern Europe, would still be annoyed and with good reason--but they should really stop complaining and just set up their own fund (building on the Asian Chiang Mai initiative); China, India, Russia, Brazil, and Saudi Arabia have more than enough financial firepower to make this happen.